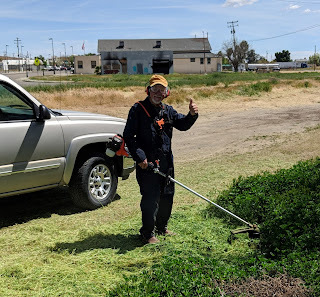 Our spring workday at Avenal was a big success. 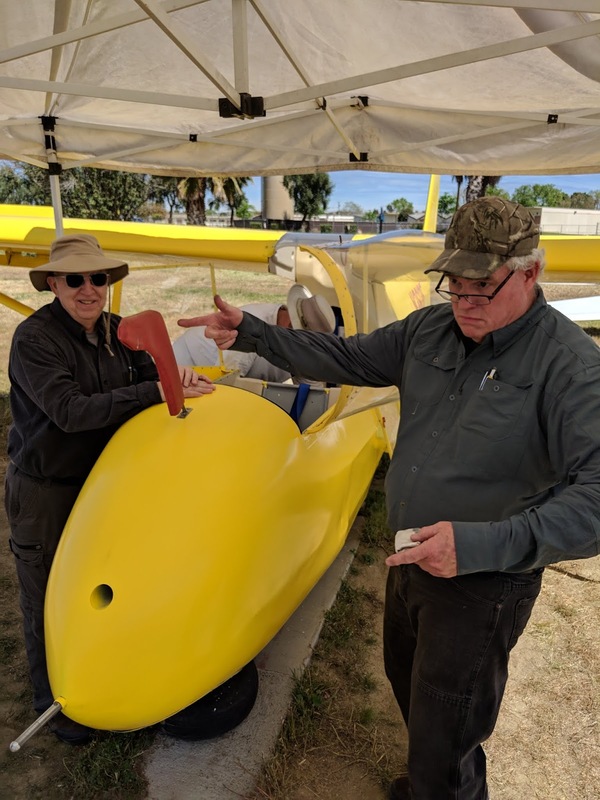 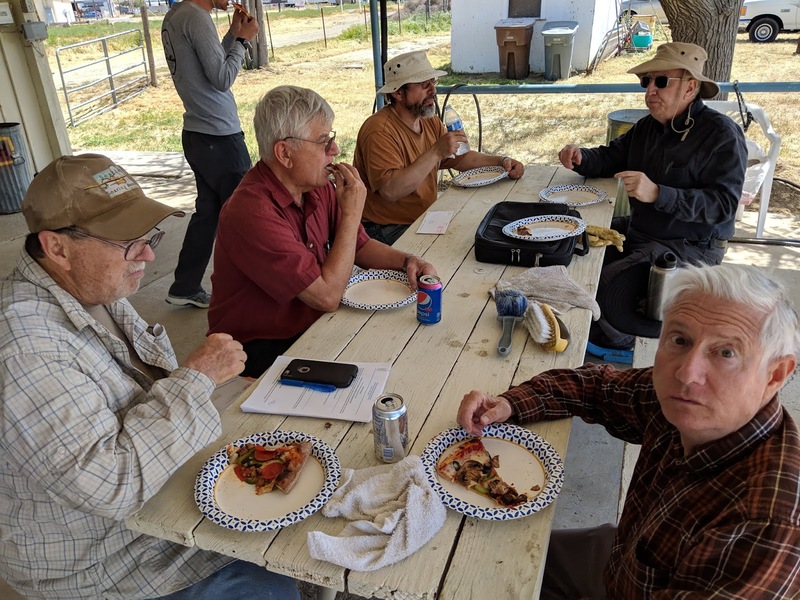 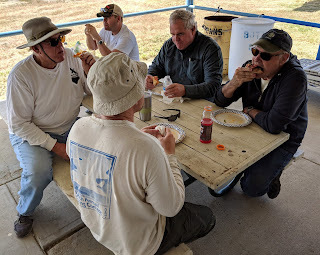 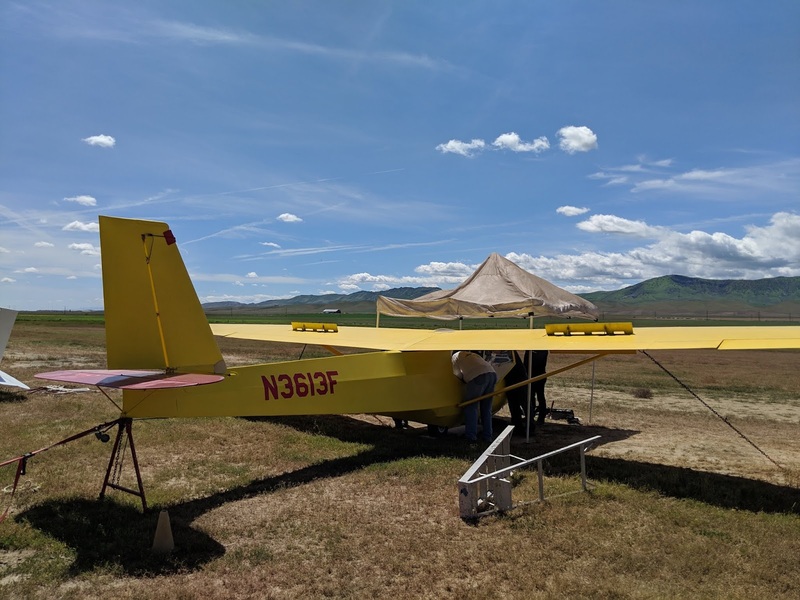 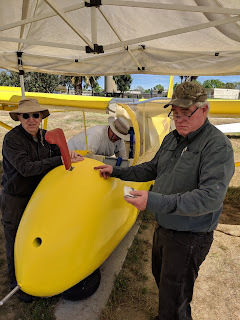 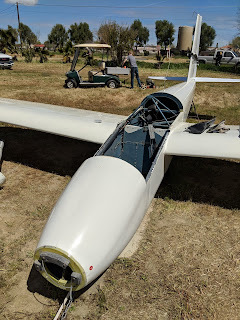 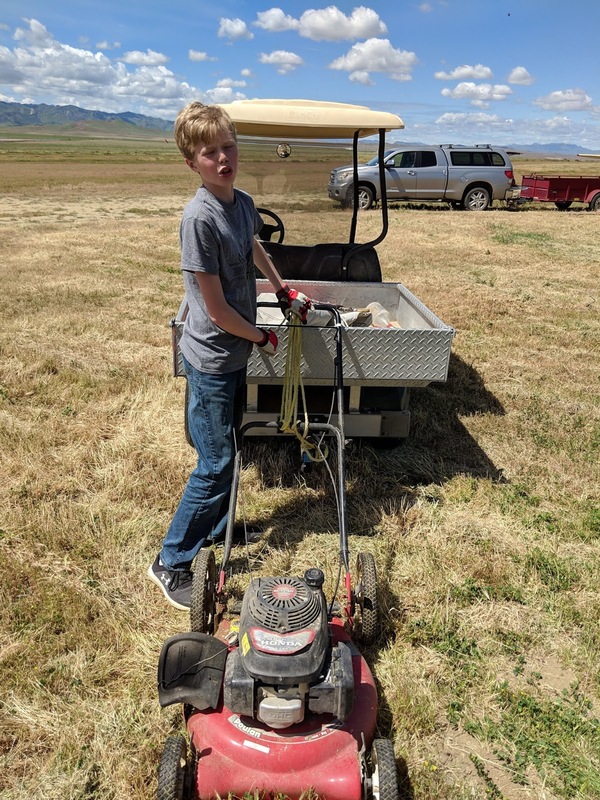 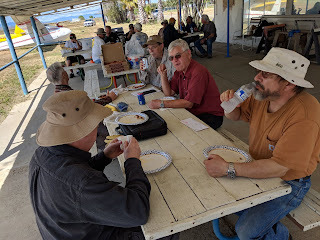 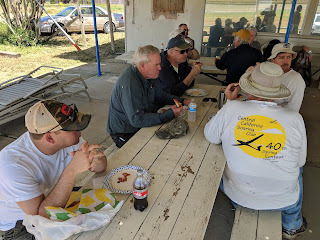 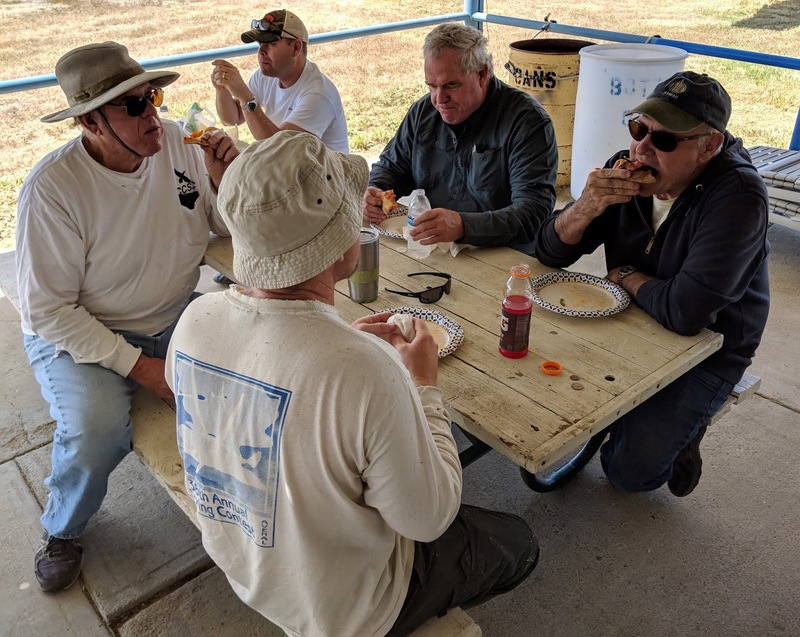 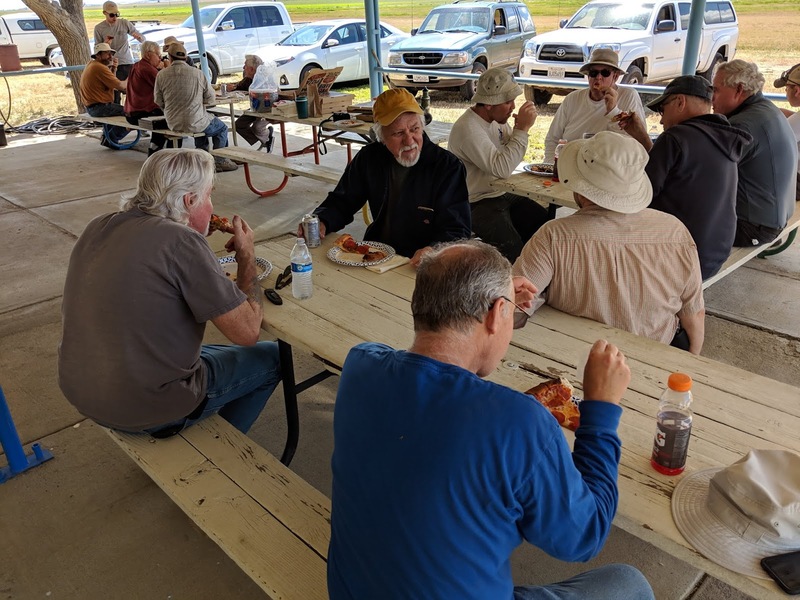 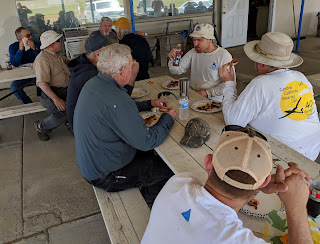 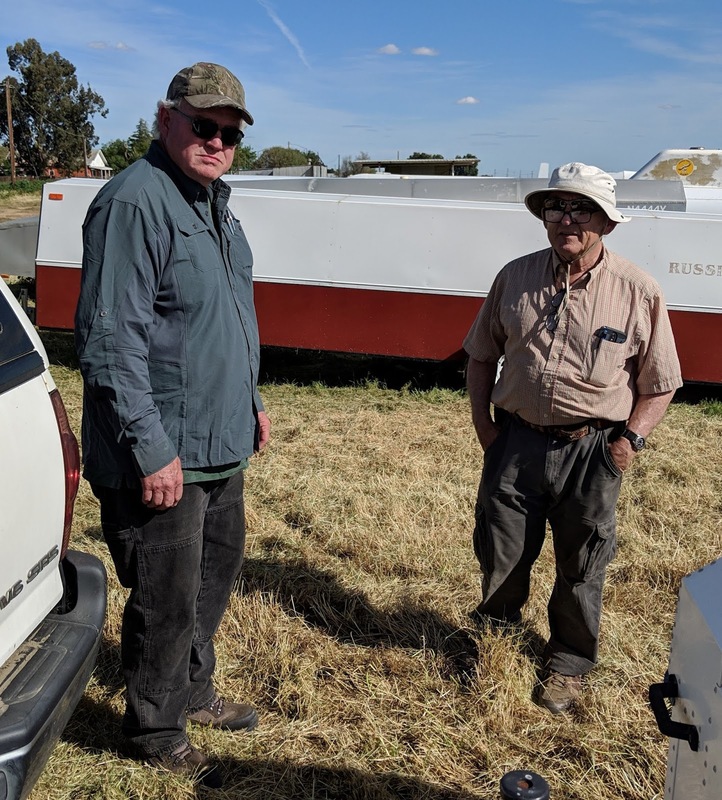 At least 20 members were on hand to cut, haul, hack, wrench and generally get the grounds and equipment tuned up for spring soaring. 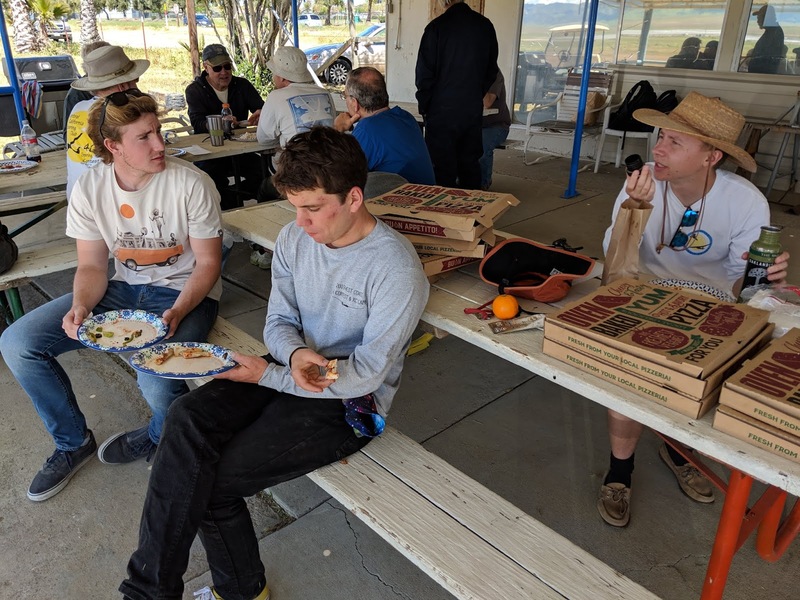 And after the morning work, we had pizza and then flying. 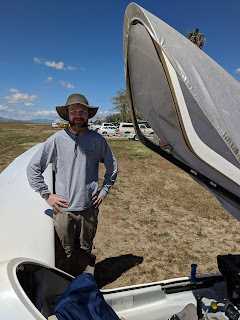 I think Aleks was the last to land just before 7 pm. 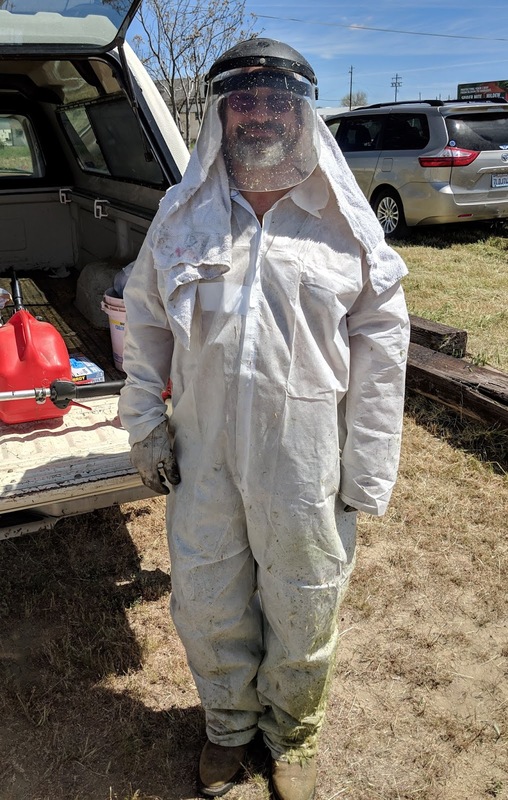 A good day all around! 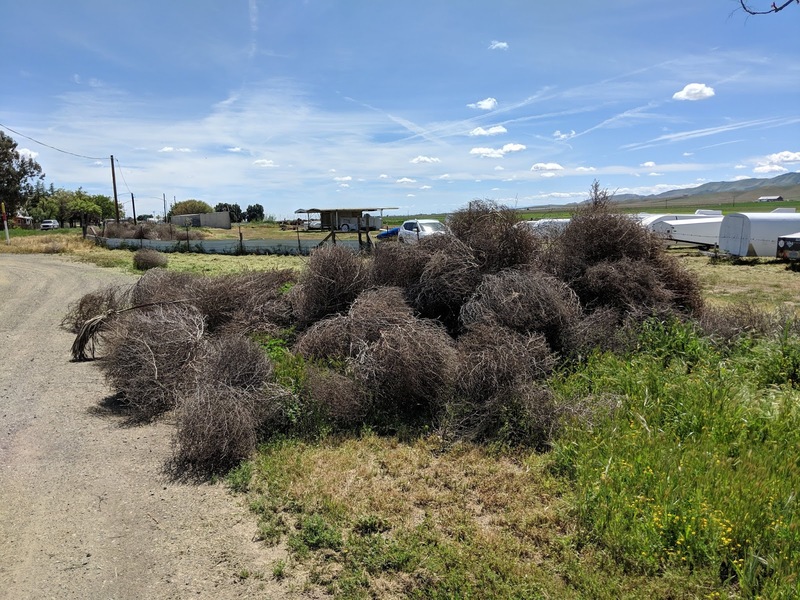 One of our several collections of Tumbleweeds. 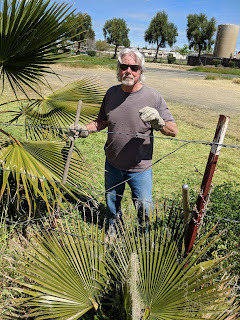 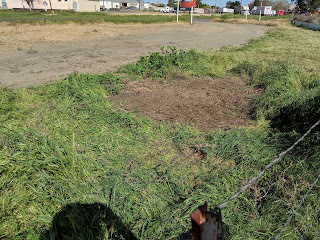 We moved this one from the east side of the fence to our Grand Tumbleweed and Palm Frond Pile on the SE corner of the property. 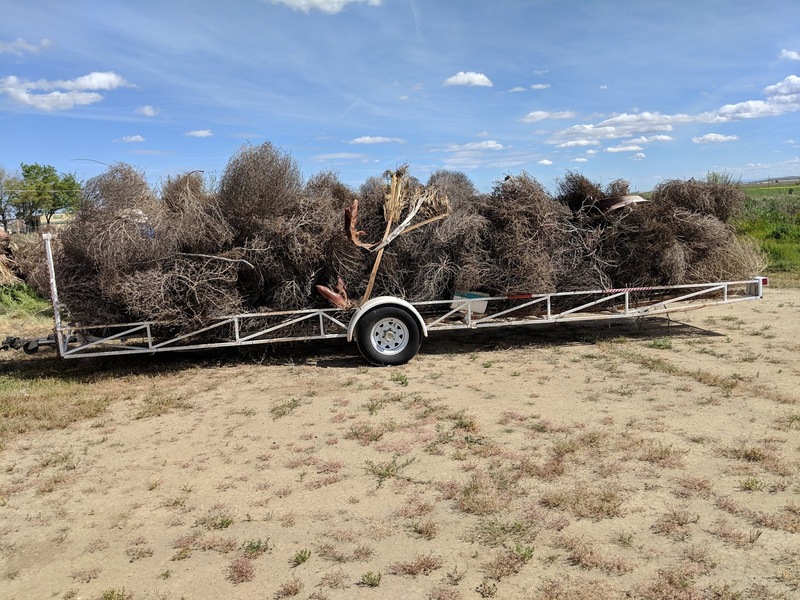 Richard was kind enough to allow us to turn one of his trailers into a Tumbleweed Transport. 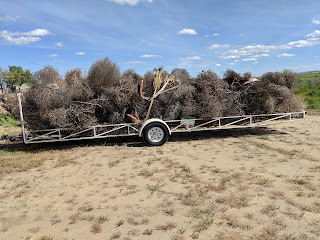 It took more than a few loads, but this pile is gone. 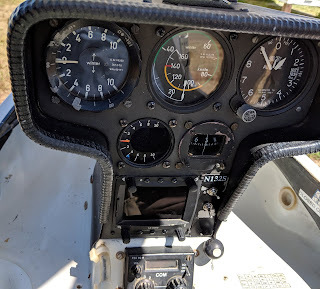 By the end of the day, it was back together and ready. 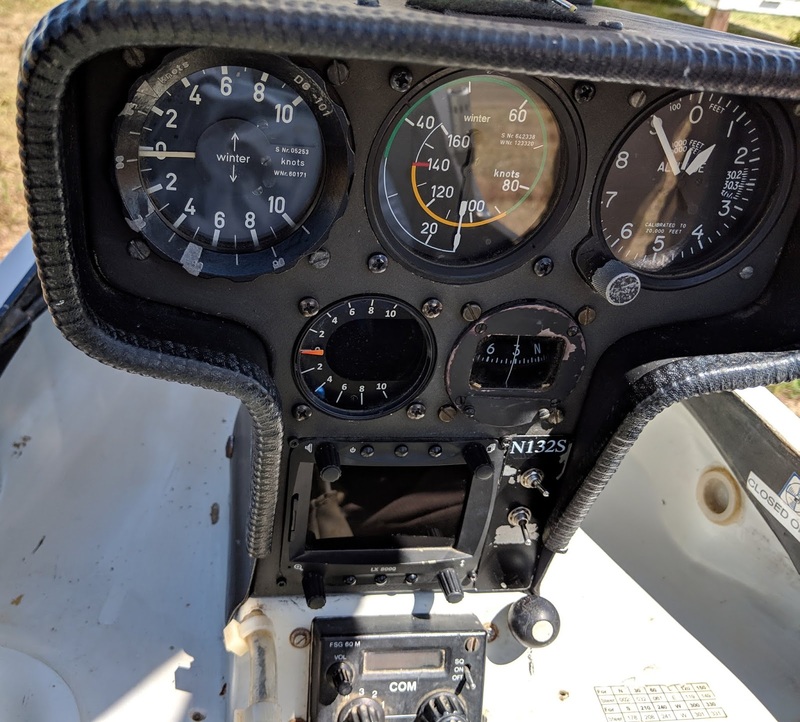 Thanks to good installation work by Wyll and Neiman, supervised by Martin, the DG now has an LX8000 flight computer and linked variometer. 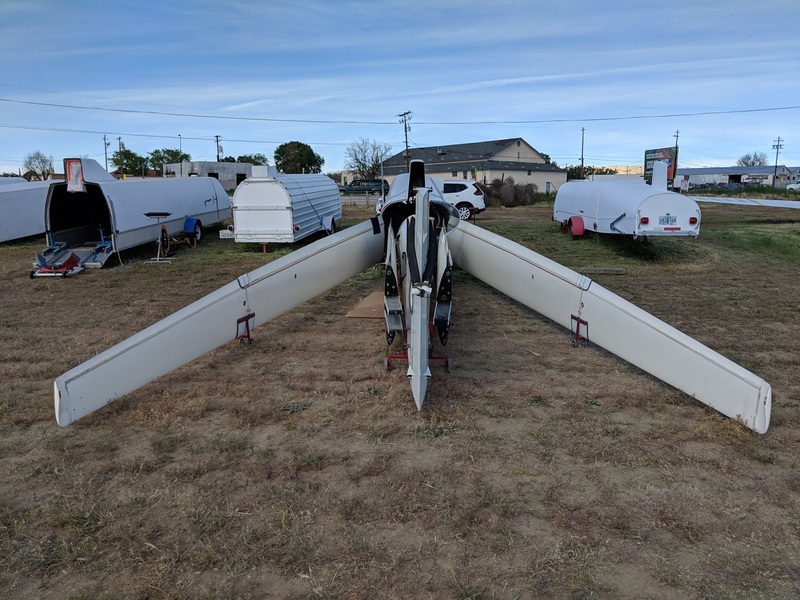 Alex' Nimbus stretches its wings a little after a long winter in the trailer. 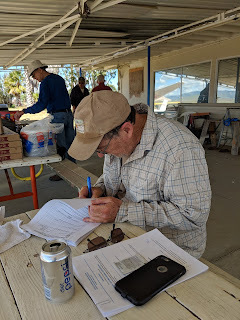 Here's outgoing CCSA President Mike Paoli signing some official looking papers. We all owe Mike a big "Thanks" for having devoted a lot of time to giving good leadership to the club through these past few years.